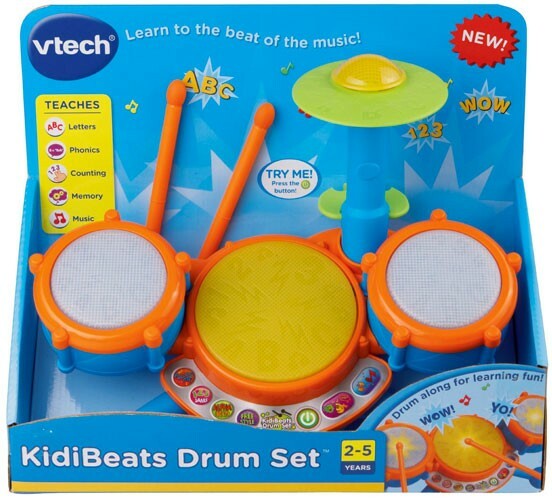 Your child can rock out and learn with the VTech KidiBeats drum set! 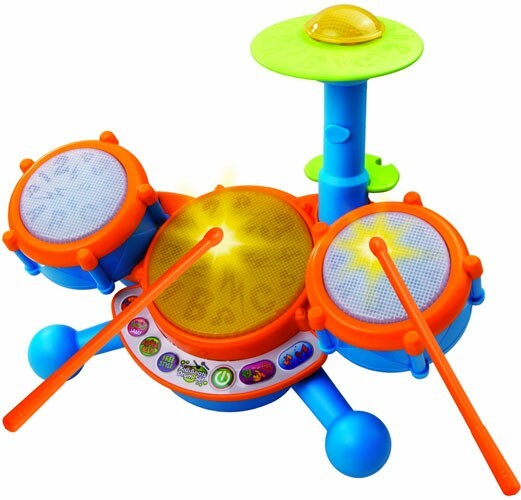 This drum set for kids comes with a pair of drumsticks that can be used to tap the four different electronic learning drums. Your child can drum freestyle or play along to nine pre-set songs in a variety of musical styles, or for more structured play, they can follow the lights on the drums as they learn about letters and numbers. With four play modes -- Free Play, Letters, Numbers, and Follow Along -- and drums that illuminate with an LED light, this set is sure to be a favorite with your little rock star. The three drum pads and cymbal each have their own unique sound, so she'll get hours of play out of the KidiBeats set!